Instant messaging application BBM (Blackberry Messenger) had only exclusively used by the gadget Blackberry users. But now the application can be enjoyed by users of Android and iPhone. In May 2013, the BlackBerry CEO Thorsten Heins has announced it on the Blackberry Live 2013 event in Orlando, USA. Officially BBM App for Android and iPhone can be download for free starting on 21 September 2013 in each of the Apps Store. In Android, BBM application can be run for Android version 4.X as Android Ice Cream Sandwich and Jelly Bean, while iPhone applications can run on iOS versions 6/7. 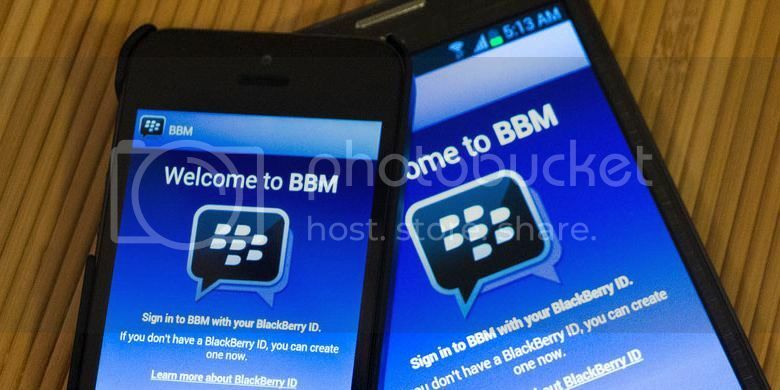 To be able to use BBM App on Android and iPhone users can first register to get a PIN number. The users can exchange a PIN to be interconnected between platforms. By launching BBM to other platforms will certainly further expand the network of BBM users. BBM application has advantages compared with other instant messaging applications such as WhatApps, WeChat, Kakao Talk, and Line. BBM application has a security system and privacy for using PIN for authentication, not the same as other instant messaging that using mobile number for contact. Further, the application also has a feature BBM marker if a message is sent to mark the letter “D”, and if the message has been read, it will be replaced with “R.” With this feature the message sender can know the status of the sent message. This feature is also a mainstay of BBM that is not owned by the other instant messaging applications.